Esala Perahera (the festival of the tooth) is the grand festival of Esala held in Sri Lanka. It is very grand with elegant costumes. 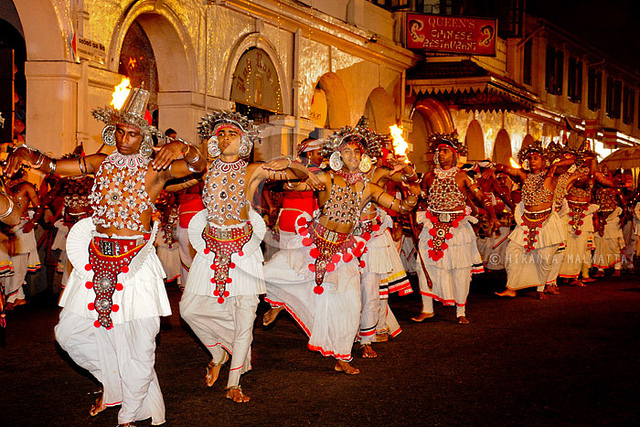 Happening in July or August in Kandy, it has become a unique symbol of Sri Lanka. It is a Buddhist festival consisting of dances and nicely decorated elephants. There are fire-dances, whip-dances, Kandian dances and various other cultural dances. The elephants are usually adorned with lavish garments. The festival ends with the traditional 'diya-kepeema'.